Visit Leh Ladakh in June, the sub-zero freeze of winter thaws. Leh Ladakh’s high altitude ranges, huge lakes, lofty passes, deep valleys and endless roads become more accessible. And as the temperatures rise, so do the adrenaline levels! 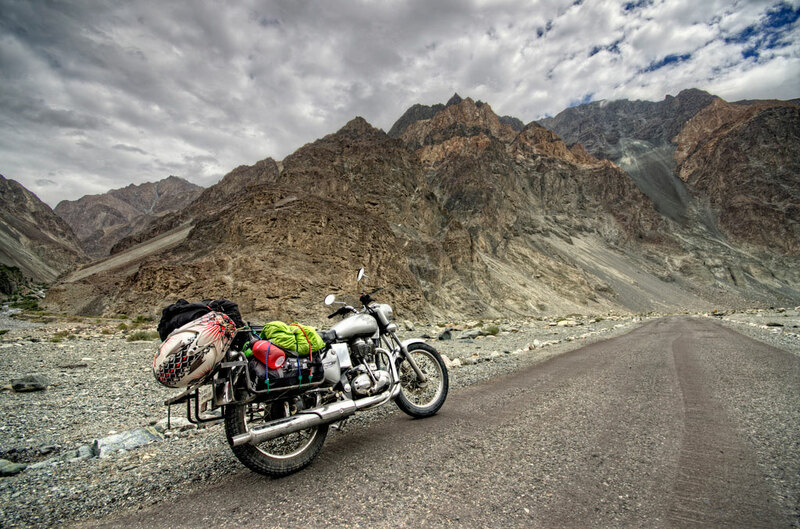 Adventure awaits in the rugged landscapes of Leh Ladakh between the summer months of June to August. River rafting is best experienced in the frothing waters of this Trans Himalayan terrain. With its deep canyons and snow-capped peaks forming a fitting backdrop, the highs experienced are humungous. 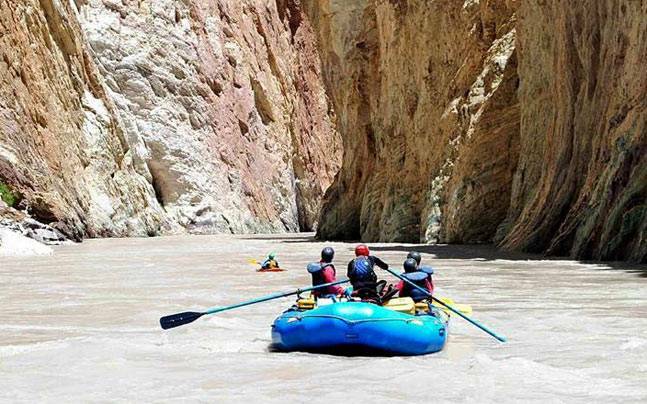 The Zanskar and Indus rivers are hot favorites for rafting, for both newcomers and veterans. The stretch between Spituk and Nimu or Saspol on the Indus is highly recommended. Newbies might prefer the easier upstream stretch from Spituk to Karu, while thrill-seekers would gravitate towards the Padum-Nimu stretch on the Zanskar. The river rushes down a deep ravine which makes for some edge of the seat excitement. Thrills unlimited! 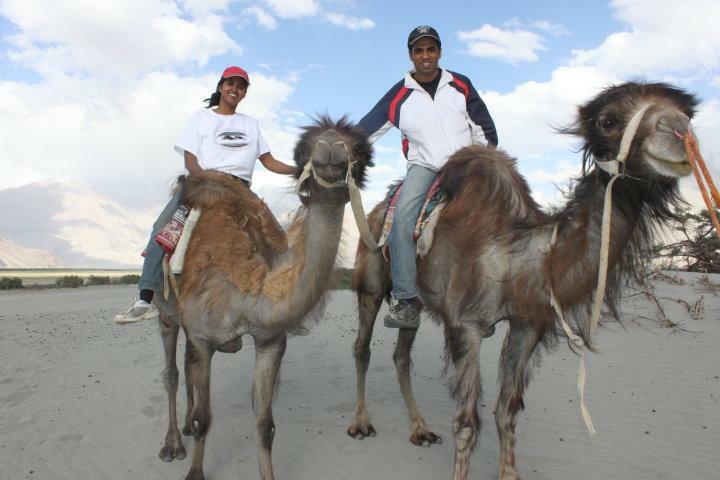 The high altitude cold desert of Ladakh is not without its favorite ‘ship’ – the camel! Once used by the traders of Central Asia to traverse its rugged terrain, it is the tourists who now rediscover the adventure of exploring the craggy landscape via a camel safari. Bactrian camel safaris in the Diskit and Hunder valley allow the traveler exciting forays into the hard-to-reach corners of this fascinating land. Leave civilization behind as you travel through the deserts with Kesari Tours much like intrepid travelers did hundreds of years ago. Walking in Ladakh is no stroll in the park. Yet nothing beats the deep satisfaction of exploring its high passes and rocky topography on foot. A stunning way to experience the vastness of the land and its extremes, trekking also establishes a closer connect with every trench and incline of this stark terrain. 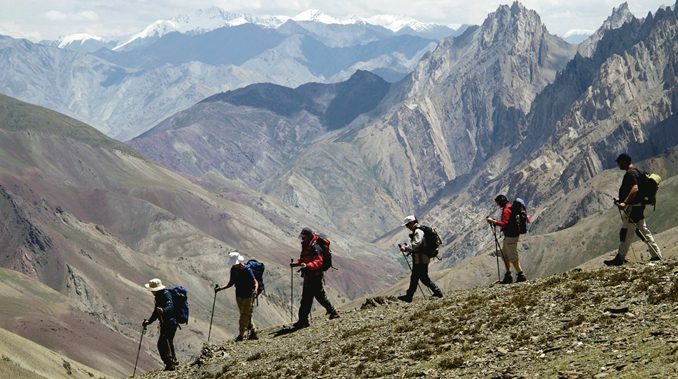 For a closer feel of the culture and heritage of this region, the Nubra valley trek, Stok Kangri trek, Indus valley trek, Markha valley trek and the Chadar trek come highly recommended. Mountain biking puts your endurance to the test. Cycling along the Ladakh valley, which is situated at 12,000 feet between the Karakoram and Zanskar mountain ranges, is an experience rich in every way. View the break-taking mountain scenery, stop at remote monasteries and religious abodes, and get a closer experience of its culture and tradition as you pedal through the world’s highest mountain passes. Unbeatable! Yearning for the exhilaration but won’t compromise on comfort? 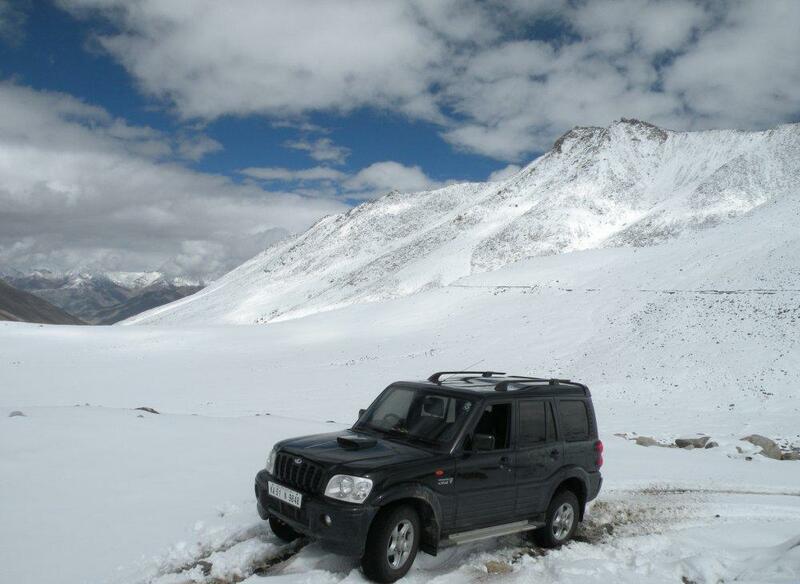 The famous Jeep Safaris are a great way to explore the beauty of this Trans-Himalayan region of India. Discover the remote corners of Leh Ladakh and traverse its desolate terrain with a combination of safety and exciting pace. It’s no wonder the classified jeep safari tours into the Nubra valley, Zanskar valley, Pangong lake and Tsomoriri lake make for such a memorable excursion. Previous Post 10 Reasons Why Hampi is a Must-see!